Awards: Oscar buzz for Cooper. The American Film Institute and the National Board of Review have already chosen American Sniper as one of the Top Ten films of the Year. American Sniper is very old-fashioned: a tough-as-nails war film with a heart. It’s appropriate that Clint Eastwood is directing the film since he could have starred in it a couple of decades ago. 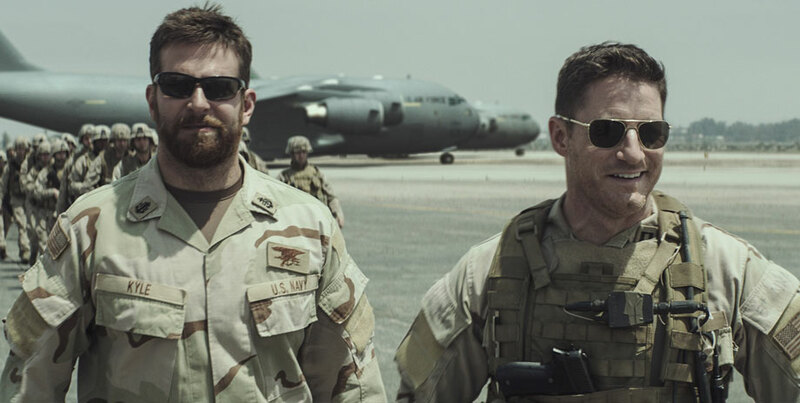 Bradley Cooper is superb as Chris Kyle, the legendary American soldier who registered over 250 kills in Iraq. The film moves back and forth in time between Kyle’s home life with supportive but occasionally difficult wife Taya (Sienna Miller) and harrowing action scenes in Iraq. Eastwood’s direction is excellent, both in the very realistic war scenes and in the domestic sequences in America. It’s his best film since The Changeling: terse and violent but with enough humour and romance to keep the story on an even keel. Chris Kyle’s story is a controversial one. His memoir and personal accounts by those who knew him suggest an American who despised the Iraqi enemies and was possibly a racist. Eastwood’s direction and Cooper’s performance show a more mature, nuanced individual who was a patriot but recognized that the circumstances he was in were hellish. Particularly impressive are the scenes towards the end when Kyle has to deal with post traumatic stress syndrome: Cooper is laconic but moving as a surprising vulnerable figure. The skinny: This film should be a hit in the States. Here, it will be a harder sell. The best thing going for it is a brilliant performance by Bradley Cooper, who will likely be nominated for an Oscar. 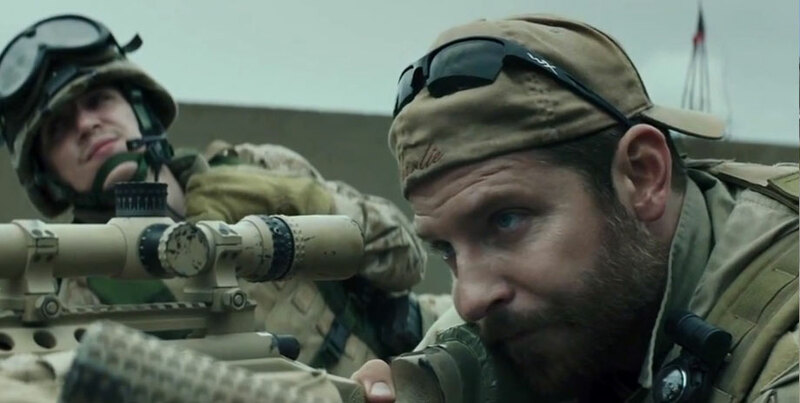 Should he win, American Sniper will be huge (and even more controversial) internationally. Definitely a boys’ film.